Jessica Stockholder works at the intersection of painting with sculpture. 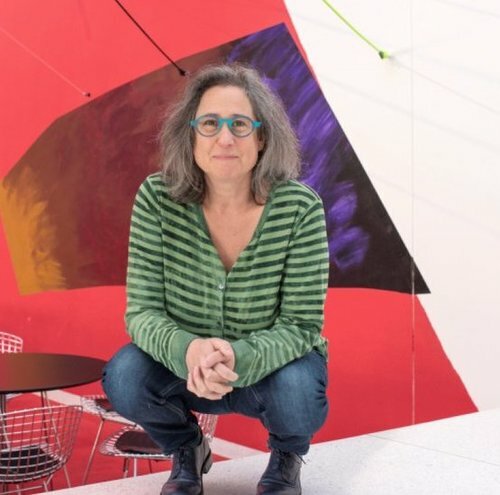 Her work sometimes incorporates the architecture in which it has been conceived, blanketing the floor, scaling walls and ceiling, and spilling out of windows, through doors, and into the surrounding landscape. Her work is energetic, cacophonous, idiosyncratic, and formal - tempering chaos with control. She orchestrates an intersection of pictorial and physical experience, probing how meaning derives from physicality. Stockholder was the Chair of the Department of Visual Arts from 2011-2018. She brings with her twelve years of experience as Director of the Sculpture Department at the Yale School of Art. Ms. Stockholder received her B.F.A. from the University of Victoria in Canada in 1982, her M.F.A. from Yale University in 1985, an honorary Doctor of Fine Arts degree from the Emily Carr College of Art in 2010, and an honorary Doctor of Fine Arts degree from Columbia college in 2013. Stockholder has exhibited widely in North America and Europe, at such venues as the Dia Center for the Arts, the Centre Pompidou in Paris, the Open Air Museum in Belgium, the Power Plant in Toronto, Canada, the Whitney Museum of American Art; P.S. 1, New York; SITE Santa Fe; the Venice Biennale; Kunstmuseum St. Gallen; 1301PE Gallery in Los Angeles and Mitchell-Innes & Nash Gallery in New York. Her work is represented in various collections including the Art Institute of Chicago, the Albright-Knox Art Gallery, the Corcoran Gallery of Art, the Whitney Museum of American Art, LACMA, the Vancouver Art Gallery, and the Stedelijk Museum in Amsterdam. 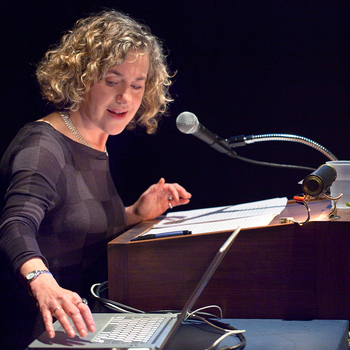 She has received numerous grants including the Lucelia Artist Award from the Smithsonian American Art Museum, a Guggenheim Fellowship, and Anonymous Was A Woman in 2012. Midway Studios, 929 E. 60th St.
Join scholar Bill Brown (University of Chicago, Department of English) , architect Ted Brown, artist and Gray Center curator Zachary Cahill, and cross-disciplinary writer Jennifer Scappettone (University of Chicago, Department of English), and artist Jessica Stockholder (University of Chicago, Department of Visual Arts) for an evening of food and conversation about the role of assemblage in each of their given practices.